The lovely staff at Waiheke Escapes were easy to communicate with & even arranged for our hired portacot to be waiting at the property when we arrived. We were able to let ourselves into the house that evening and were visited by Charlie from Waiheke Escapes the following morning to check in with us. The house was ideal, with most things brand new & was very well set up for guests. 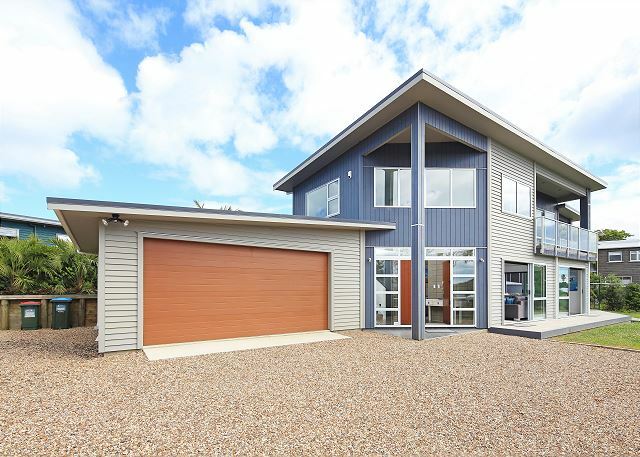 The house was easy to find and situated within walking distance (about 7mins) to the Oneroa township/shops/restaurants. We had a nice time staying at Bella Seven. It was just as described with great views & lots of space. We would happily book here again to stay in the future. We had a great time and the house was beautiful and so good for a big group of people. Fantastic stay and a great location, highly recommended. 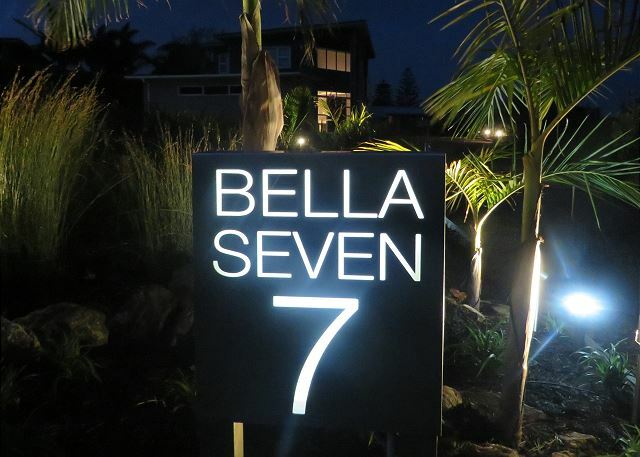 “Bella Seven was perfect for our extended family celebration. It's well proportioned with a lovely, heated outdoor dining area. Unfortunately, the weather gods were against us, but being only five minutes walk from the town centre gave us an alternative to outdoor activities. 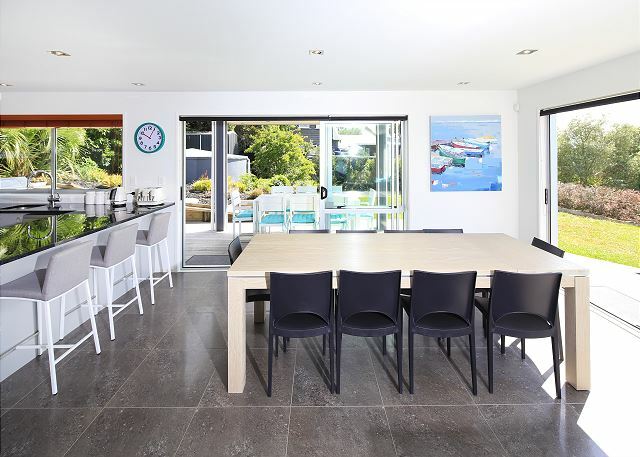 We were warmly welcomed by our host from Waiheke Escapes and I wouldn’t have hesitated in contacting them if there were any issues – which there weren’t"
"Wow, the perfect property for our group. Having three bathrooms for 8 guests was fantastic and the location to the vineyards and the ferry terminal – perfect". "A beautifully fitted out and furnished home that holds a large group with ease. The perfect place to unwind while preparing for our wedding just around the corner at Mudbrick"
"Loved it, shame about the weather. Love to come back. The accommodation was excellent"
Bella Seven was really awesome, very clean and had everything we needed, plus lots of extras, a great place for a large family, great location and outdoor area, would recommend to anyone, and we would love to come back. The Waiheke Escapes holiday accommodation manager was very friendly and helpful. "Walking distance to the main city centre, peaceful and absolutely beautiful. Thank you"
Lovely home within walking distance to Oneroa, lovely views, plenty of room for 10 guests without feeling crowded. Comfy beds. Absolutely loved staying at Bella 7. The house is well equipped with everything you need for a great vacation. 10 mins walk into town, which is a lovely way to walk to breakfast, lunch or dinner! Also walking distance to Little Oneroa Beach. Would definitely stay there again! 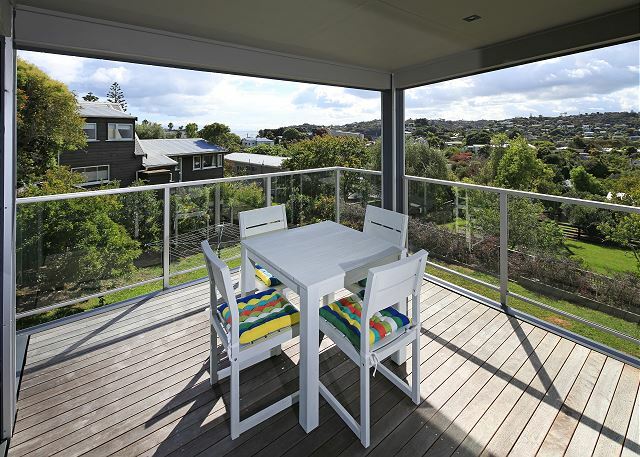 Waiheke Escapes were also fantastic to deal with. 11/10! Fantastic property with everything you need and more. Great location and well appointed. 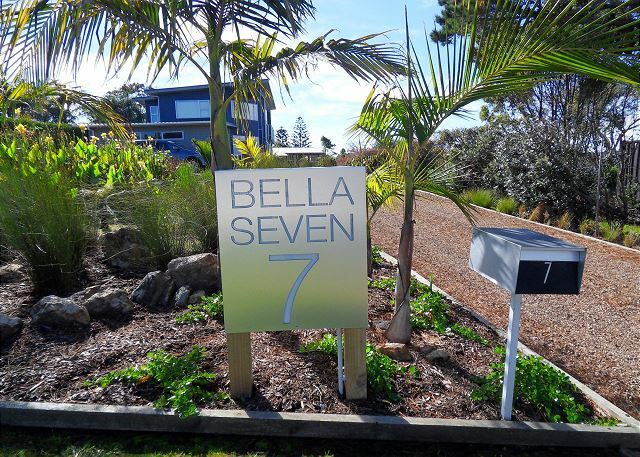 Bella Seven is beautifully maintained, with a high standard of fixtures and fittings. Well presented and has everything you need from outdoor seating areas to the most comfortable beds. Only a few minutes walk to Oneroa and a fabulous local taxi driver just across the road made our stay very relaxing. 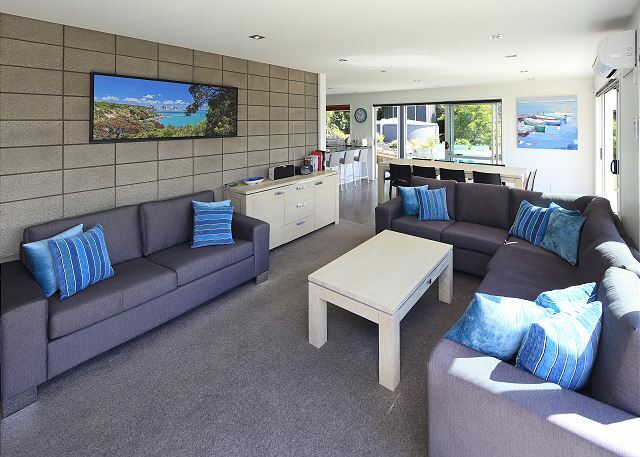 Waiheke Escapes are great to deal with, very prompt to respond and professional. Great experience and very friendly staff. The location is great and the house amazing. Fresh new linen and catered for all ages. Perfect. 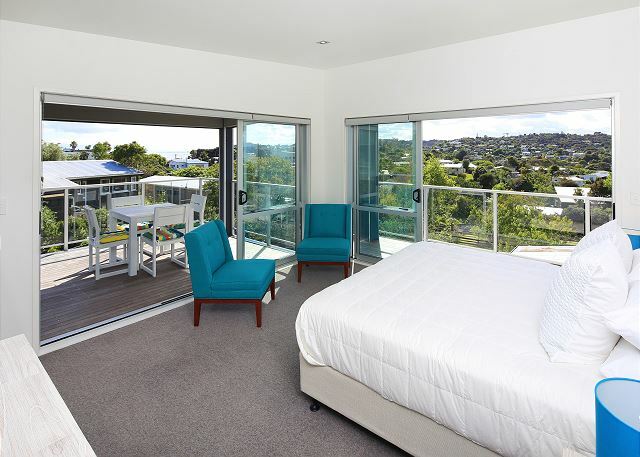 We had a fantastic stay at Bella Seven, the house was very modern and well appointed. Check in process was very easy, everything was clean and well ordered. We especially liked the great outdoor area which was perfect to spend long evenings outside enjoying a BBQ and a few glasses of great local wine. On top of this the location was perfect – less than 5 minutes to Oneroa village shops, beach and even within walking range of a few vineyards. was very wonderfully kitted out. I had found such a great house via the Internet! Thank you for helping us have such a magical week end. The place was awesome, perfect for 2 families. Immaculate and fabulous outdoor arrangement. The perfect home for a group to stay on the Island. The house was conveniently located and very well appointed with everything we needed for our stay. The Managers were great at keeping in contact with entry instructions and contact details should we need. Very happy to recommend this lovely home and would be happy to re-book next visit. Only 2 minutes from the Matiatia ferry terminal and 9 minutes from Kennedy Point car ferry terminal and walking distance to the heart and soul of the Island - Oneroa Beach and Oneroa Shopping Village with its wonderful selection of shops, restaurants and supermarkets. 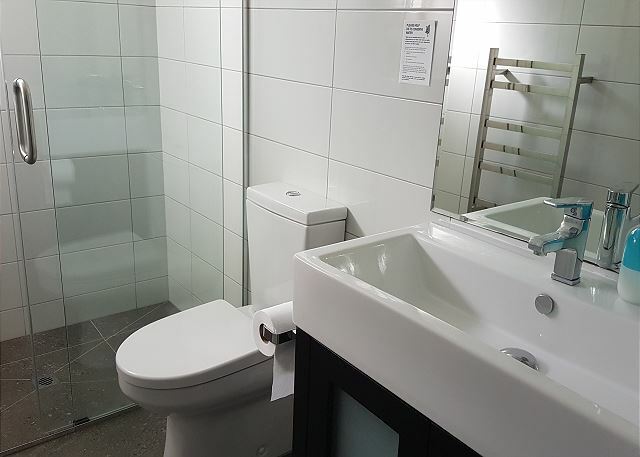 This stunning statement home comes complete with top of the range appliances, three beautifully fitted out bedrooms and three bathrooms with enough space for everyone to have their 'alone time'. The quality of this home is obvious from the minute you pull up in the long private driveway in to the huge double lock up garage (a very rare commodity on the island!). Two of the most popular vineyards on the island - Cable Bay and Mudbrick beckon you, and at less than 1 km from your back door to Cable Bay and less than 2 km to Mudbrick you could be there in no time. Bella Seven is on two levels - the large master bedroom with ensuite, walk-in-robe and private spacious deck with a table and chairs, and the second bedroom with a Queen and two King Singles plus bathroom on the top level. Here you will also find the second sitting room with a wall mounted flat screen TV. Downstairs is the main living area of the home and it also has the third bedroom and full bathroom, separate laundry, dining area with seating for 10 and a wonderful state of the art kitchen complete with stainless steel Bosch appliances and everything else you would need to whip up a meal for a large group of family and friends. 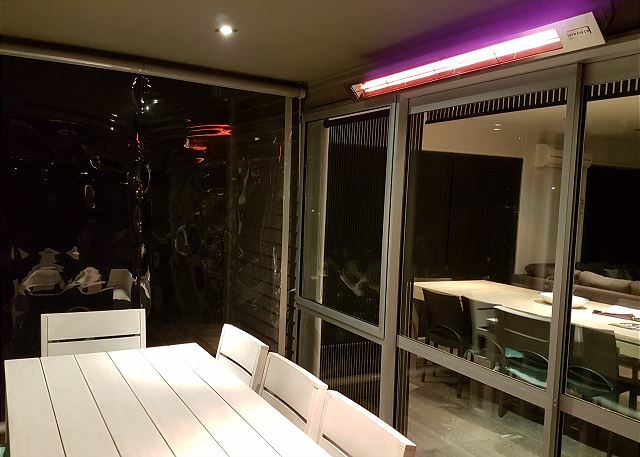 This flows through to the undercover outdoor dining area complete with outdoor dining suite, BBQ and gorgeous cafe curtains that will keep you warm and dry during our cooler months and wet days. Flick on the electric outdoor heater and you have a fabulous cosy outdoor room. The living room is the hub of the home and comes complete with a huge 65 inch Smart TV and Bluetooth sound system. Bed configuration: Upstairs - Master Bedroom with Super King (this can be split in to two single beds on request), Bedroom 2 with Queen bed and two king single beds. A double sofa bed is also on this level. Downstairs - Bedroom 3 with Queen Bed. Please Note: A late checkout of 12pm applies to this property. A one time linen and exit cleaning fee of $250 applies to each stay. Minimum stays: 7 nights between 20 December and 10 January, 3 nights holiday weekends and 2 nights all other times. The garage is currently unavailable for vehicles. This property is also available for small conference groups during the Off Peak and Shoulder Seasons during weekdays only.